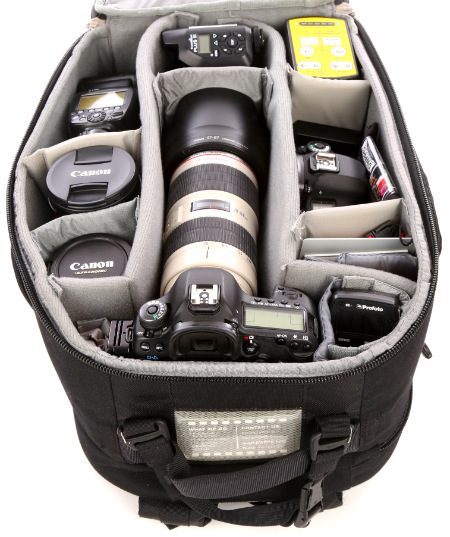 Photography Gear Week Day 1 of 4: What’s In My Think Tank Streetwalker Camera Bag? 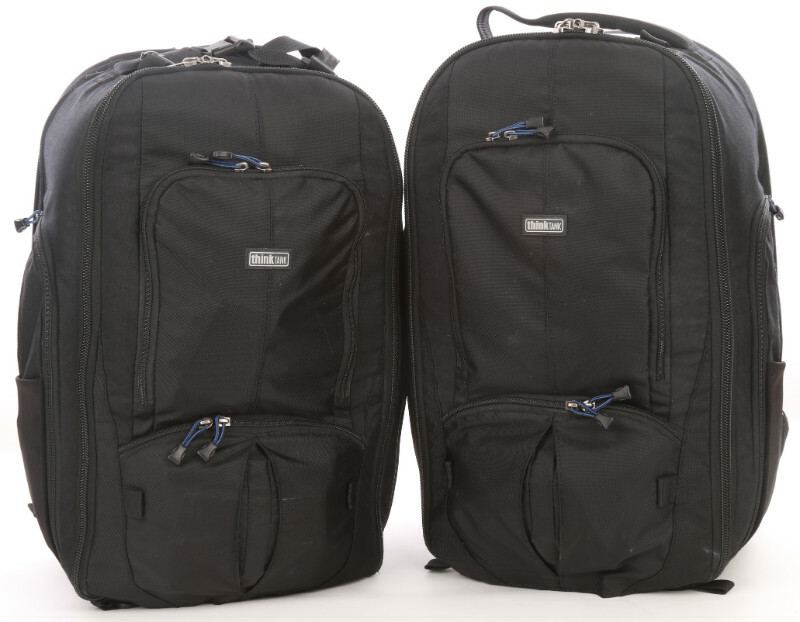 Pictured on the left is just 1 of 2 Think Tank StreetWalker Backpack Camera Bags that I carry on a regular basis. So keep in mind that this one bag is by no means all inclusive. However, I wanted to share what's in this one for all the photo geeks reading this post which is 1 of 5 this week. This Think Tank Streetwalker camera bag is not quite as large as some camera backpacks like the Lowepro backpack that is in the same price range that my assistant John has ,but the Streetwalker also has an area for my MacBook Pro which the Lowepro does not. The two bags have held up for me very well including lots of airline travel. The back will fit easily in the overhead bin. *I thought the Canon EX-E3-RT was in this bag, but found out it was the same size case that the trigger goes in. I left it in the list because it would have easily fit under the Canon 600 EX-RT where the case was positioned with the wrong item in it which means that I have to find my trigger. Great! You Bought A Camera Kit – What Are Two Things That Can Make A Difference?